Champagne, Anthony. 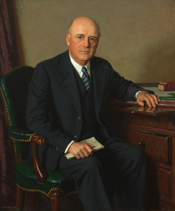 Congressman Sam Rayburn. New Brunswick, N.J.: Rutgers University Press, 1984; Hardeman, D.B., and Donald C. Bacon. Rayburn: A Biography. Austin: Texas Monthly Press, 1987; Steinberg, Alfred. Sam Rayburn: A Biography. New York: Hawthorn Books, 1975.